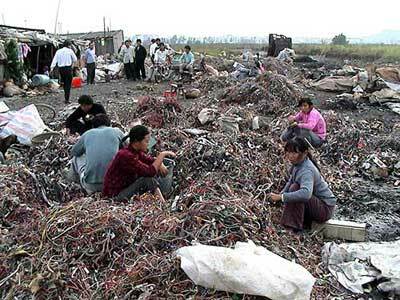 Seeing as electronic fads such as the latest I pod or smart phone last an average of 18 months before becoming damaged or obsolete, it is no surprise we are witnessing the rapid growth of mountainous wastelands within Asia and Africa. Not only does it cost the environment to create these products, it is just as costly to run them. As the virtual cloud these products operate on expands in terms of storage and processing capability, so to does the amount of hardware needed to run the cloud. This is leading to a growth in the creation of ‘Sever Farms’ where land in cleared to make room for massive electronic infrastructure. Sever Farms are enormous they use up acres upon acres of land and they require copious amounts of energy. 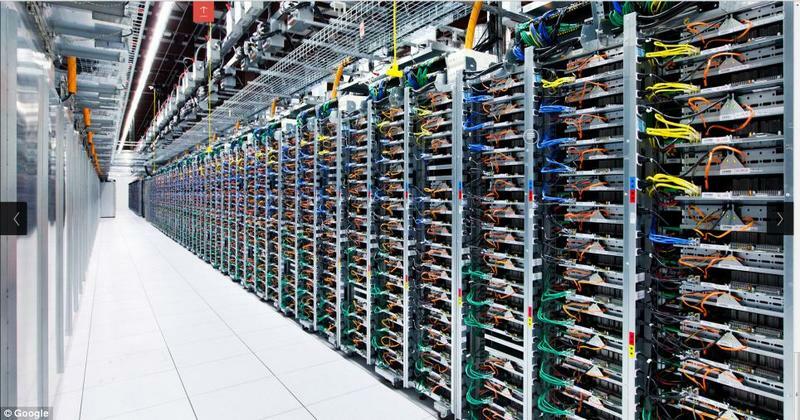 Check out these images by Martin Schoeller depicting a Facebook server farm. 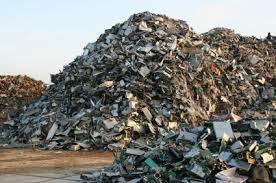 After we have discarded our old electrical devices the damage does not stop there. Left to decay in landfills they slowly release the toxic chemicals inside of them creating toxic waste that renders soil barren, air polluted and water undrinkable. To make matters worse 80 percent of this stuff is shipped overseas where it is broken apart by workers to extract small bits of valuable metal. These workers (some of them children) are once again being exposed to the deadly toxins. 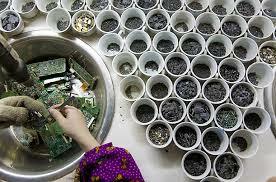 What really frustrates me is that the rapid cycles of innovation and obscurity that are responsible for the extent of our E-Waste are not something that just happens. It is exactly what large companies such as Apple want to happen and even plan to happen. When they make their products they are not made with sustainability in mind. They are extremely fragile and break quickly and they are designed like this to entice you into continually buying a new ones. Its all about maximizing profits and we so easily buy into it. When the new I Phone comes out the old one suddenly becomes obsolete. Why? because marketing and social conditioning tell us we need the newest gadget to live and fit in; despite the fact the differences between it and the older version are miniscule. We need to start designing gadgets with the goal of sustainability outweighing the goal of profitability.